The ADA recommends that most people receive professional cleanings and dental exams at least twice a year. These checkups play an important role in helping you maintain your oral health, but many people are delaying or even skipping them. According to the 2007 Public Opinion Survey: Oral Health of the U.S. Population, less than half of Americans had seen their dentists in the previous six months. Nearly 20 percent had received dental care in the past year. Cost is a major reason for people delaying or avoiding dental treatment, particularly for those who are uninsured. Those who lack dental insurance visit their dentists every three years on average and even then, they only visit when they have an actual problem. Even those who have dental insurance may delay or avoid treatment if their insurance would not pay or has run out for the year. Thankfully, dental payment plans and financing options can help financially strapped patients better afford the treatments they need. Scheduling can also be a problem. Many dentists are only open during normal working hours or school hours, which complicates the scheduling of routine appointments. This becomes an even bigger issue for single parents or for families where both parents work full-time. Our dental office understands that you have a tight schedule, which is why we are careful to offer a flexible schedule designed to work with you rather than against you. Call us and let us know what appointment times will work for you so that we can get you the treatments you need on your time. In some cases, patients may experience dental phobia or fear hearing potentially bad news. 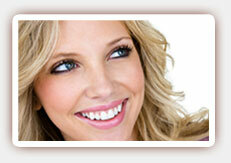 Today, dental anxiety need not interfere with receiving quality dental care. 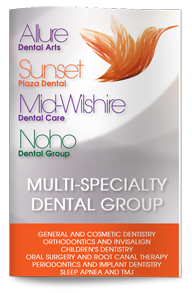 Our West Hollywood dentist offers a variety of sedation options that can help you feel more relaxed and comfortable throughout treatment. Receiving regular dental care will reduce the risk of hearing bad news every time you visit the dentist. What are you waiting for? Give us a call today to schedule your checkup.